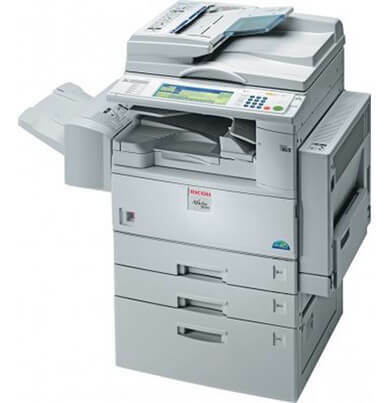 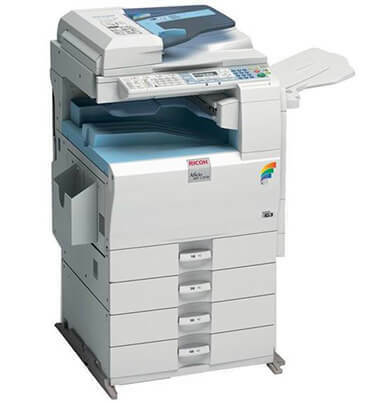 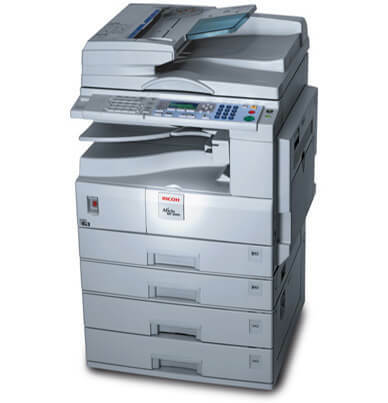 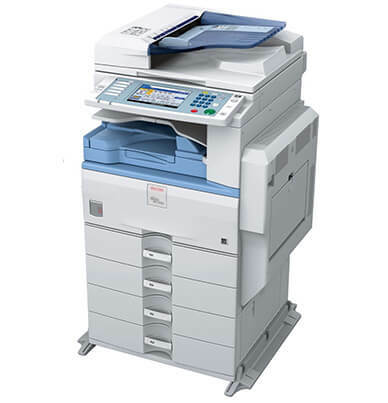 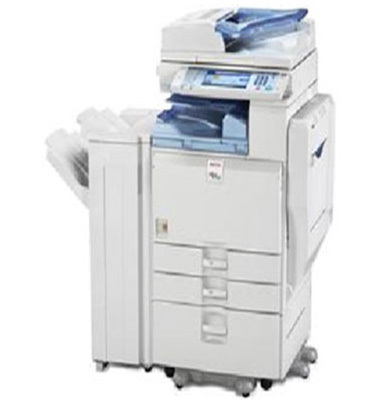 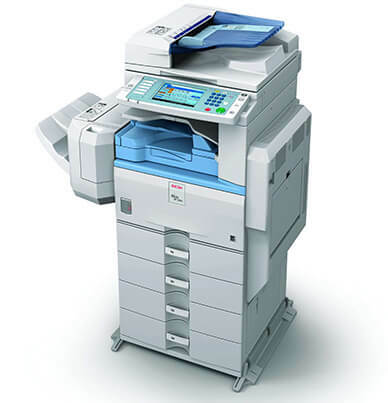 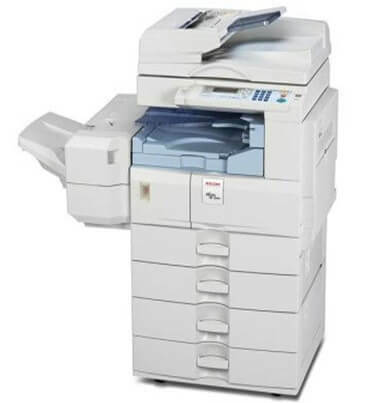 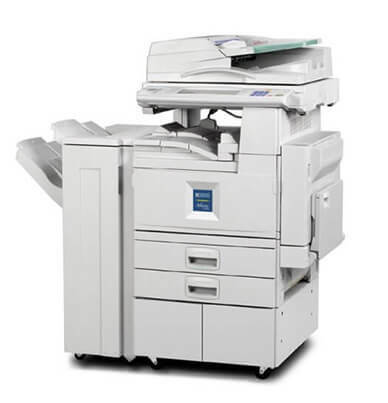 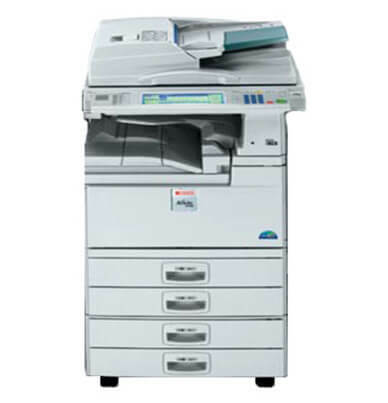 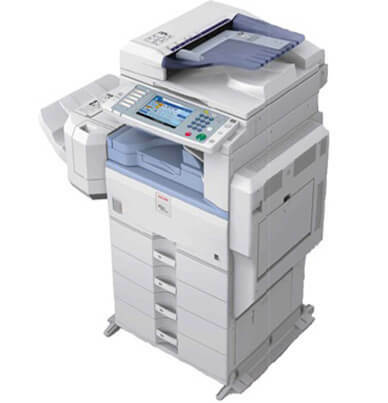 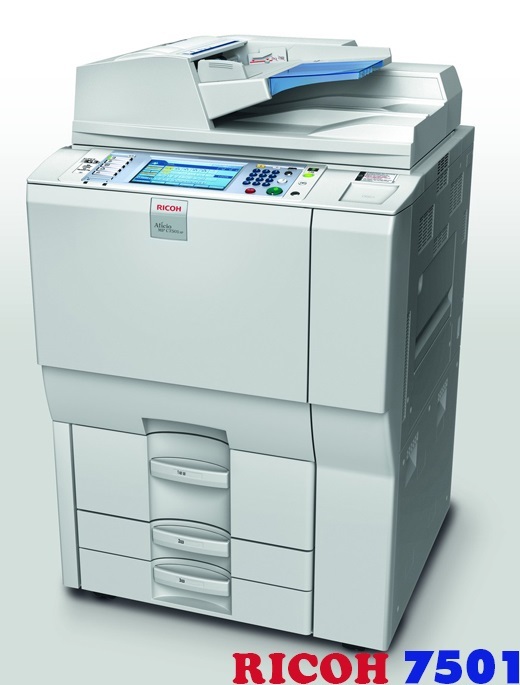 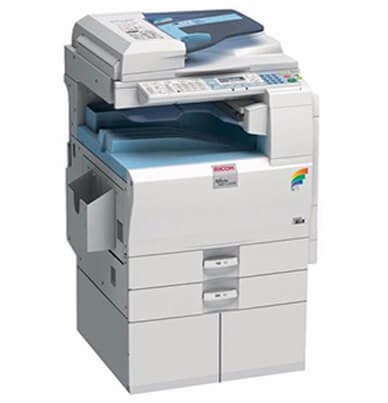 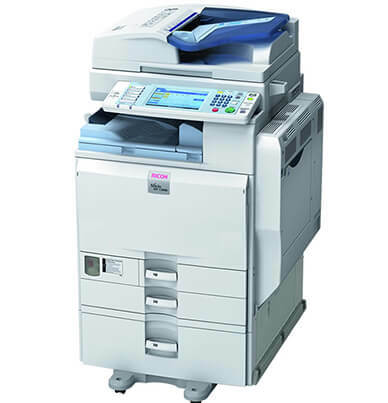 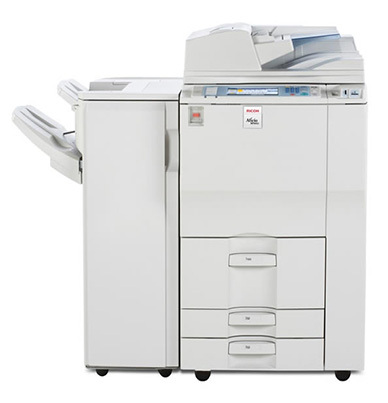 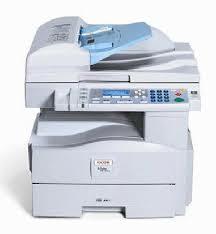 The Ricoh Aficio MP 6002 starts as a standard copier. 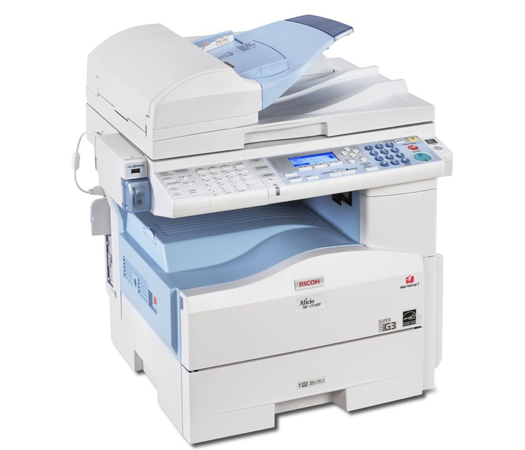 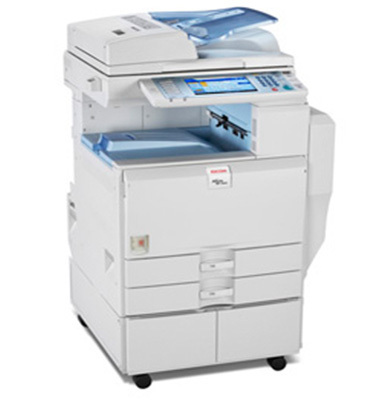 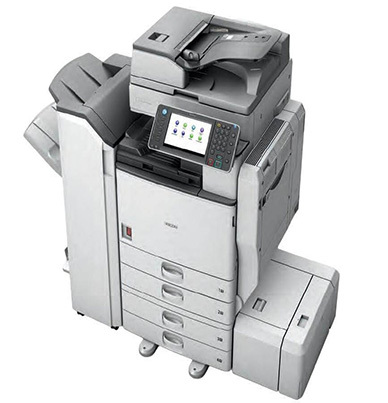 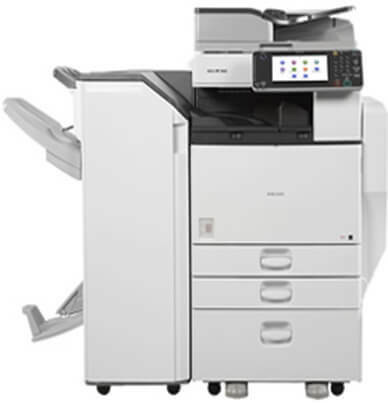 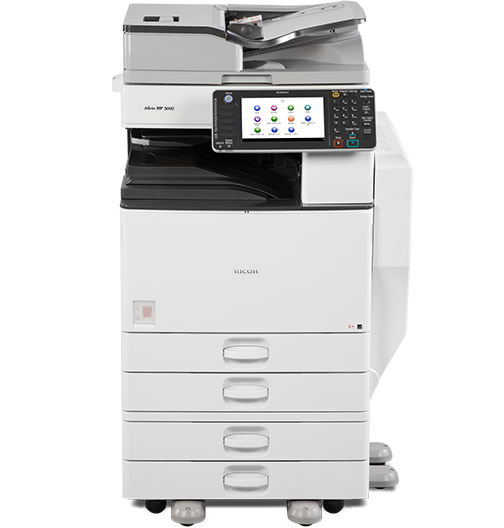 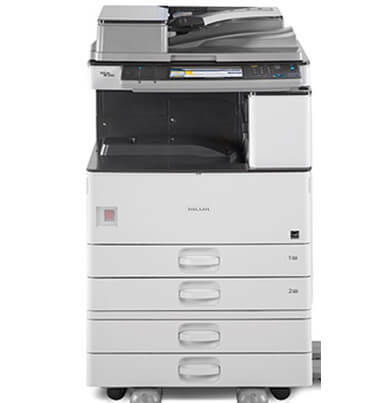 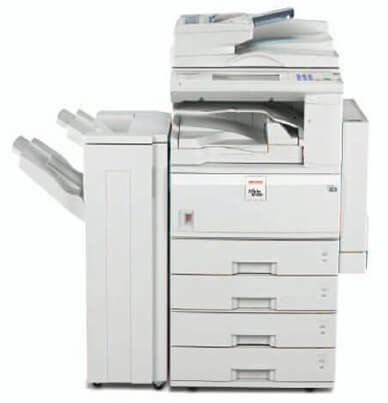 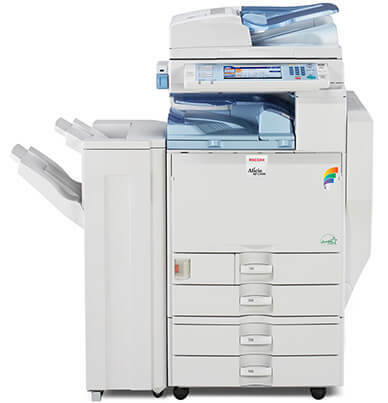 The optional features of print, scan, and fax combined with user-friendly features and network capability will create the multi functional unit that accommodates today’s busy work groups. 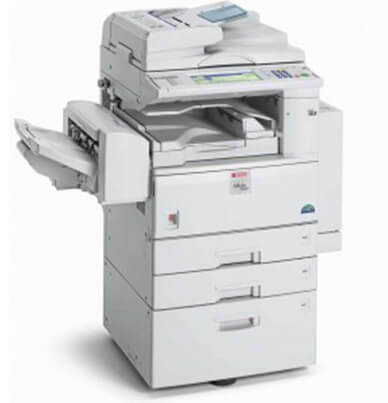 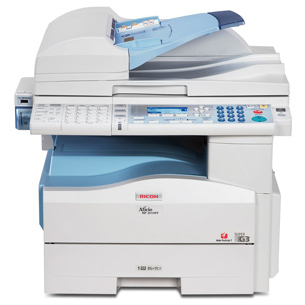 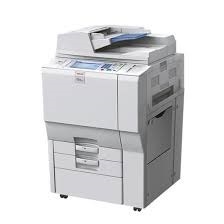 The copier produces up to 60 copies-per-minute with a first print in as little as 3.9 seconds. 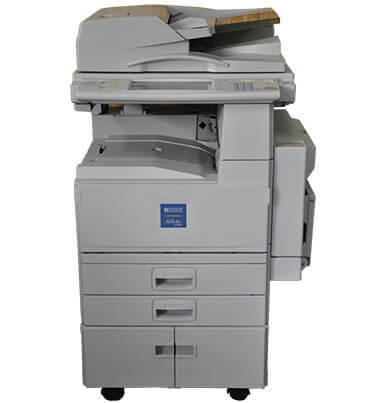 Scan and print directly from a USB/SD card right from the AFICIO MP 6002 control panel. 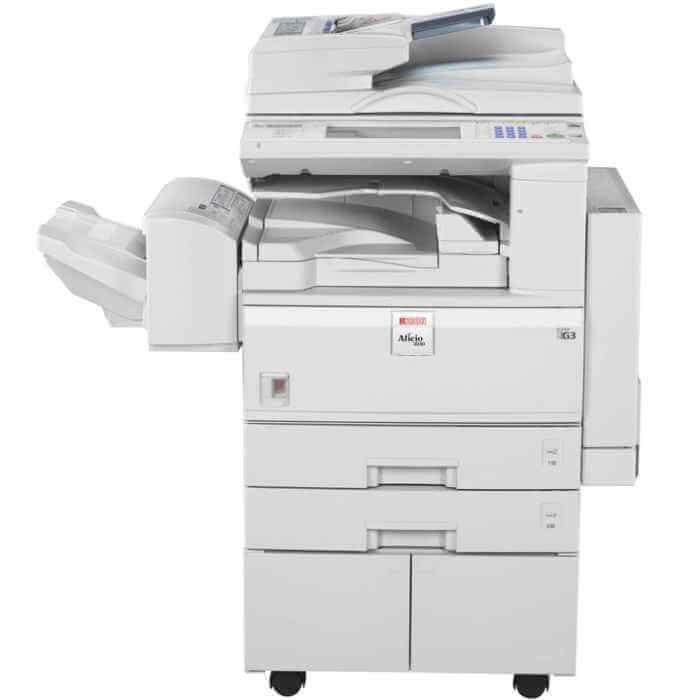 A wide range of paper stocks and paper sizes are processed on the Aficio MP 6002 to give users the flexibility to complete projects in-house. 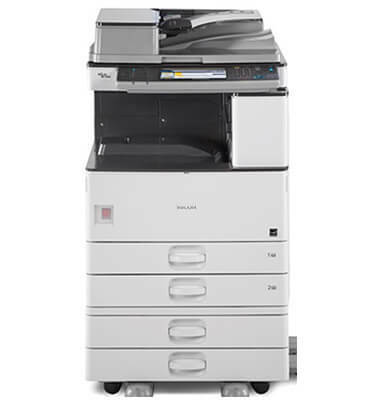 The duplexing feature will reduce paper consumption and file storage. 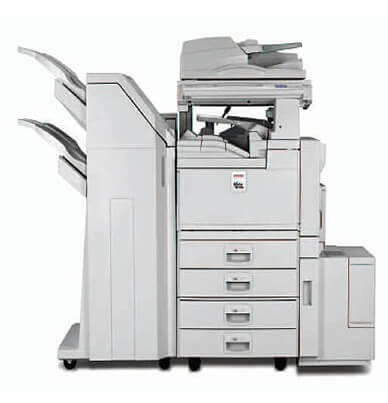 The triple drawer paper tray configuration of the AFICIO MP 6002 provides users with a robust paper capacity of 4,300 pages. 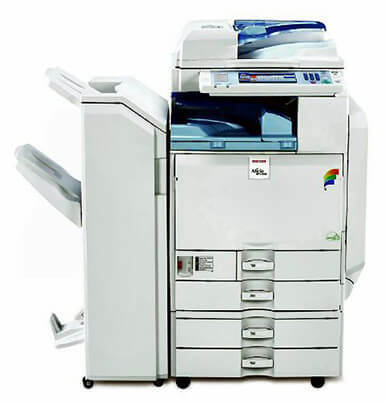 The bypass tray provides additional 100 sheets of paper. 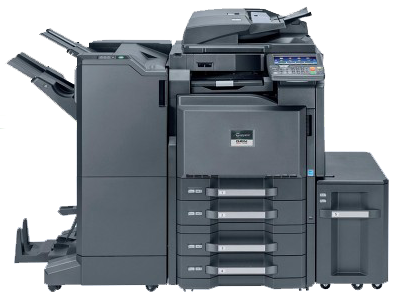 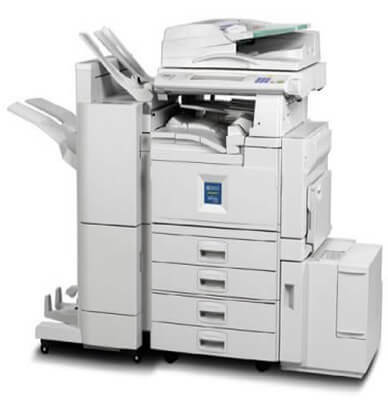 The monochrome AFICIO MP 6002 copier will need toner replacing after an estimated 43,000 pages with an average of 5 percent page coverage. 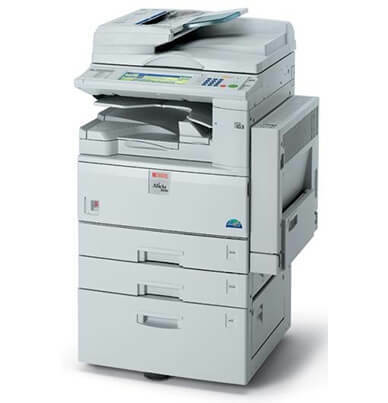 Choose between the Cost-Saving Compatible Toner Cartridge (885400) and the genuine Ricoh AFICIO MP 6002 brand. 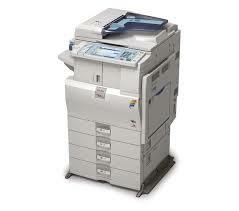 You may not be able to predict the future. 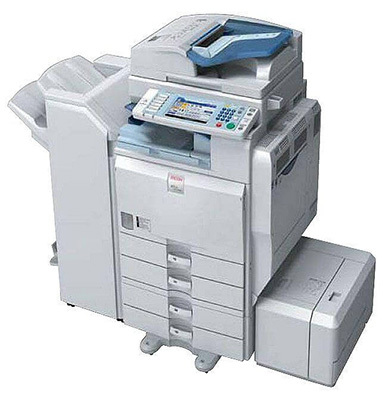 But you can prepare for it. 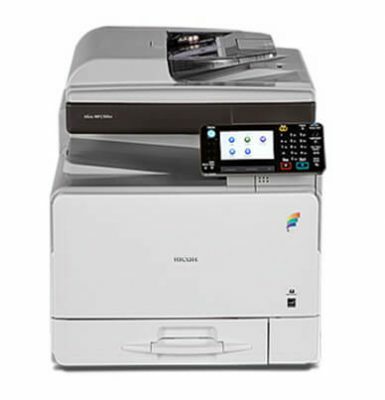 The Ricoh MP 6002 combines user-friendly customization, access to cloud-based solutions and a sleek, easy-to-use design to streamline an array of everyday tasks efficiently. 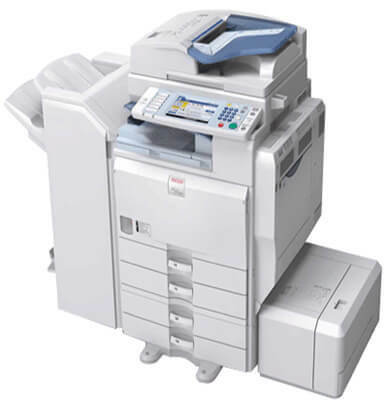 Choose the one that works best for you — as the primary system for your workgroup or as an integral part of the Ricoh Managed Document Services (MDS) strategy — and bolster productivity throughout your organization.